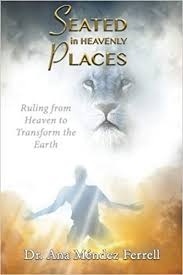 Seated in Heavenly Places | Karmal Books online Christian books and media store. Through this amazing book, you will understand the Apostolic Reformation, from Heavenly places. It is only from this perspective that one can see the true dimensions necessary for this change. Perhaps, you will be challenged to evaluate your own paradigms to understand the difference in saying: I am seated with Christ in heavenly places and literally enter this realm of Spirit.